• It’s a slightly truncated edition of The Purge this Wednesday morning as we launch headlong into December. 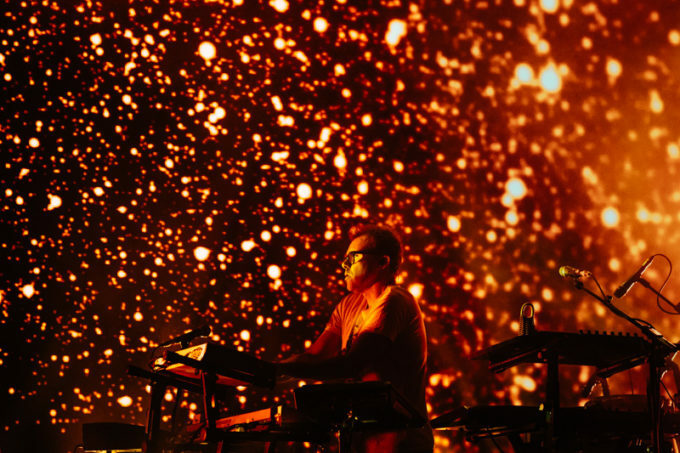 Electronic superstars Leftfield will be back on Australian soil in early 2018 for shows in Sydney, Melbourne and Fremantle. It’s been three years since the UK duo was last in the country, but they’ll make up for lost time for audiences at Sydney’s Enmore Theatre on February 01, Melbourne’s Forum Theatre on February 02 and Metropolis in Fremantle on February 03. Frontier pre-sales kick off at 11am AEDT today before general public tickets go on sale from 11am local time this Friday. • The Rubens are also hitting the road early in the new year for shows in Sydney, Melbourne and Brisbane. The ‘Million Man’ tour touches down at The Tivoli in Brisbane on February 24, then at the Forum Theatre in Melbourne on March 01 and the Sydney Opera House Concert Hall on March 03. A Frontier member pre-sale kicks off at midday AEDT tomorrow prior to general public tickets hitting the sales desk at 10am local time on Monday, December 11. • The Lorne edition of the Falls Festival might have sold out a long time ago, but that doesn’t mean that organisers haven’t wanted to turn up the volume on the number of acts appearing. Another two dozen acts have been added to the line-up for the December 28-31 event, among them Nina Las Vegas, Haiku Hands, Touche Sensitive, Young Franco, Jen Cloher, Basenji and Alice Ivy. The Byron Bay event (Dec 31 to Jan 02) is also sold out, with tickets remaining for both Marion Bay (Dec 29 to Dec 31) and Fremantle (Jan 06 and 07). • And US four piece Lucius will play Sydney, Melbourne and Brisbane early in the new year on what’s their first ever Australian tour. They’re appearing at The Brightside in Brisbane on February 24, Howler in Melbourne on February 25 and Oxford Art Factory in Sydney on February 26. Live Nation pre-sales are ‘go’ from 10am today before general public tickets go live from 10am local time on Friday December 08.